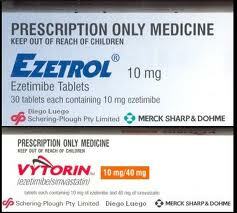 The patent protects the active agent Ezetimibe as found in the pharmaceutical Ezetrol or Zetia, that reduces the amount of cholesterol in human body. The patent is owned by Schering Corporation and is licensed exclusively to Merck & Co. LTD. The original 20 month patent term will lapse on 13 September 2014. However, on 22 September 2005 the patentee received a patent term extension until 23 June 2017. On 7 January 2013, the Association of Industrialists in Israel filed a request to cancel or shorten the patent term extension. Grounds for the request for cancellation were Section 64(xi) of the Patent Law 1967 (current version) which states that “Following a request from any third party, other than the patentee or a sole licensee, the commissioner can cancel a patent term extension or change its duration if it transpires that there were grounds for opposing the extension or the patent; there is no statute of limitations to filing a cancellation request under this Section.” The Association of Industrialists in Israel requested that the patent extension term be shortened so that it terminated on 22 January 2016. On 23 December 2013, the Commissioner of Patents allowed the parties to submit their arguments in writing, avoiding a hearing, but refused to allow the parties to widen the grounds of their attack. The original patent term extension request was based on the first commercial authorization being from Germany on 17 October 2002. However, during the proceedings, the applicant requested to be allowed to delay selection of the country until the US and Australian patent term extensions issued, following the ruling of the then Deputy Commissioner Axelrod in Novartis (Israel patents 79336, 84901 and 105264) and the 7th amendment to the Israel Patent Law 1967, from 2006. On 22 August 2004, the Applicant requested that the extension be calculated on the basis of the Australian patent (AU 681,445) which is what happened. Since that time, under US pressure, the relevant section of the Israel Patent Law has again been amended (11th amendment) but this is amendment is not retroactive. The current dispute is based on whether or not Schering / Mercke filed details of the US case as required in the 7th amendment. An affidavit from a Dr Volman on behalf of the patentees implies that they did, but this is not supported with any appended evidence. Apparently there is no copy of such a submission and there is no reference to the US case in the file. Whether or not details of the US extension were submitted, under the Law, the maximum extension should have been until 22 January 2016 which is a 597 day extension of the US case (US Re 377721). Furthermore, even without the US case, the maximum extension should have been 14 years after the pharmaceutical preparation was first allowed in the US, i.e.. 17 October 2016 and not until June 2017. The parties also disputed whether the Seventh amendment should be applied retroactively. The patentee argued that this could shorten the lifespan of an extended patent and created uncertainty and although Although the wording of the seventh amendment states clearly that it could be applied retroactively, was argued as being unconstitutional since it destroyed property rights which were recognized in basic laws (section 8 of the Basic Law of Human Dignity and Freedom. 1980. Furthermore, the fact that the subsequent amendment to this section is not retroactive supports this allegation of lack of constitutionality. The purpose behind the Seventh amendment was to ensure that Israeli generic drug manufacturers would not be disadvantaged when compared to overseas generic drug manufacturers from other countries recognizing patent term extensions. Dr Gil Tomer (Director of Israel Generic Drug Manufacturer and distributor Unipharm) argued on behalf of the Association of Israel Industrialists that regarding the seventh Amendment to the Israel Patent Law, the position of the State of Israel, as clear from negotiations with the US, was that any patent extension term granted was subject to be shortened due to other shorter patent terms. The respondents (Mercke Schering) argued that the correct interpretation of the application of Section 7 retroactively to pending cases was only for cases that did not yet have a published extension period, since this would adversely affect rights already assigned. The respondents claimed support for their interpretation from the ruling of previous Commissioner, Dr Meir Noam, in IL 97612 to Sanofi Synthelabo (July 2005), who argued that after Novartis, changing the duration of issued patents would lead to uncertainty. In addition to claiming that the retroactive application of the seventh amendment was unconstitutional, respondents noted that the amendment was poorly worded and argued that these defects adversely affected its applicability. In his ruling, the Commissioner referred to a recent ruling concerning IL 94634 of Israel Industrialists vs. Sir Roy Calne from 13 July 2014 which related to similar issues and where the constitutionality was discussed and the constitutional arguments were rejected. Following previous Commissioner Meir Noam in the patent term extension case concerning IL 83148 to Roche, Commissioner Kling notes that any interpretation of the Law regarding the interim period other than that it affects published patent term extensions effectively renders the relevant Sections as having no application. Essentially the Commissioner reiterated his reasoning from the Calne case and cited the Lundbeck vs. Unipharm, Novartis vs. Commissioner of Patents and Neurim vs. Commissioner of Patents. Commissioner Kling noted that In 3734/11 Dodian vs. State of Israel (concerning taxing gas wells), Judge Fogelman accepted that in certain cases legislation could have retroactive affect with financial consequences yet still remain constitutional. The Supreme court affirmed this approach in Bahat vs. Ministry of Health, that retroactive legislation could only be considered unconstitutional if it unjust and unfair to the extreme. The Commissioner felt that judicial interference in legislation, particularly regarding the economy, should be considered most carefully and with restraint. Furthermore, any interim arrangement was by nature short-termed and therefore presumably considered by the legislature. The patentee suggested that the Knesset be invited to defend themselves regarding the amendment. In Bahat the Supreme Court ruled that calling on the Knesset to justify itself was not something that the courts could do after a time lapse. Since in this instance, the Seventh amendment was 8 years since legislated and since then had been amended yet again, it was moot. Furthermore, the Commissioner noted that if it were justified to invite the Kneset to explain itself, this should have been requested at the first opportunity and not now, some 10 months later. Also, the pharmaceutical industry was represented in Knesset debates leading to the legislation. The commissioner therefore felt that it would be improper for him to interfere with the balance of interests reflected in the Law as legislated. In conclusion, the Commissioner reduced the extension period to 22 January 2016 based on the US patent, and after noting that the parties had waived the right for a hearing, but that there was a lot of material to wade through, awarded costs of 40,000 Shekels from Merke to the Association of Industrialists. Re 110956 Association of Israel Industrialists vs. Schering and Mercke, Asa Kling, 18 September 2014.